It turns out Enbridge might reroute a number of its pipelines through the Mississippi River headwaters. An under reported aspect of the Enbridge Line 3 crude oil pipeline debate is how the state’s Line 3 decision will affect the four other crude oil pipelines in Enbridge’s mainline corridor — a corridor passing through both reservation lands and treaty territory. We wrote in an earlier blog that Enbridge quietly started plans to relocate multiple pipelines in this new corridor: Enbridge’s Secret: It Has Easements Allowing for More Pipelines in the New Corridor. By rerouting Line 3, Enbridge seems to be trying to create a new route for all of its pipelines and avoid the 2029 lease negotiations. It’s highly unlikely that Leech Lake and/or Fond du Lac would approve new leases. This is no argument to approve the new route. This is making transparent Enbridge’s plans to build lots more pipelines through our cleanest waters and then abandon them in the coming decades as the fossil fuel industry dies out. It’s also important to note that while the new Line 3 would not cross reservation lands, it would still cross treaty protected lands where Ojibwe have rights to hunt, fish and gather — rights that the pipeline would impact. The PUC is expected to vote on Line 3 by late June. Enbridge is not only in a bind over the lease agreements, but it has invested heavily in the new Line 3 without knowing whether or not it would get approved. Apparently confident that it will obtain the necessary [Certificate of Need] and [Route Permit] in Minnesota, [Enbridge] has begun construction on Line 3 in both Canada and Wisconsin. In addition, in the spring of 2015, Applicant placed the order for all pipe required for its proposed line (both the U.S. and Canadian portion), including the pipe necessary for the Minnesota portion. A majority of the pipe (between 50 and 60 percent) has already been delivered in the United States and is currently stored in six storage yards in Minnesota along the proposed route. The cost of the pipe for the U.S. portion of the line is approximately $300 million, of which $200 million has already been paid. Line 3 opponents have criticized the Minnesota Pollution Control Agency for approving Enbridge’s storm water permits that allowed it to create these pipeline staging areas. It didn’t seem appropriate as the project had not been approved. These pipeline yards give people the impression Line 3 is a done deal. The state responded that it was Enbridge’s decision on how to spend its money and these pipeline yards would not influence the final decision. [Enbridge] seeks to decommission and abandon its old Line 3 in place. That would mean nearly 300 miles of steel infrastructure being abandoned in Minnesota, where it will remain for hundreds, if not thousands, of years. In addition, the easements that [Enbridge] has obtained from landowners for the new Line 3 allow it to “idle in place” the new line, thereby signaling to the Commission that Applicant also intends to someday abandon the new Line 3 when it no longer serves Applicant’s needs. The abandonment of the old Line 3 and the creation of a new corridor leaves open the possibility of thousands of miles of Enbridge pipelines someday being abandoned in-place when they are no longer economically useful to Applicant. This is particularly true in a carbon-conscious world moving away from fossil fuels; a move that Minnesota aspires to follow. O’Reilly concludes, however, that removing the old pipeline and rebuilding Line 3 in the same trench hits a cost-benefit tipping point. The cost of removing the old pipeline is about $1 billion; that’s a big financial hit and one Enbridge is sure to fight. 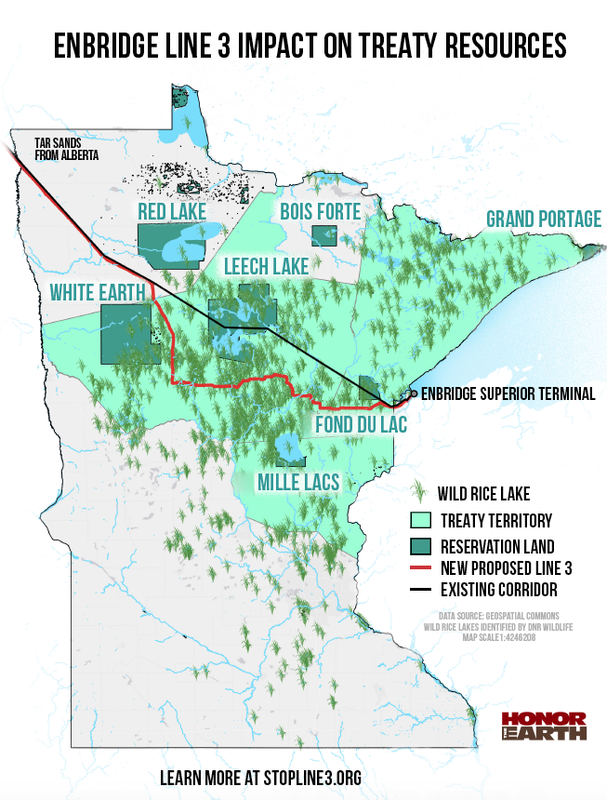 The total cost for Line 3 in Minnesota, as proposed, is $2.1 billion; requiring Line 3’s removal would increase Enbridge’s costs by about 50 percent. Contrary to [Enbridge’s] claims that this is a “replacement” project, the Project includes the abandonment of an old pipeline and the construction of a wholly new pipeline within a new pipeline corridor for a majority of its distance. Opening a new corridor through which no pipeline currently exists creates the real possibility for other pipelines to be placed in that new corridor, a corridor rich in Minnesota water and wildlife resources. In addition, because Applicant still owns the easements it purchased for the proposed Sandpiper line, there is a potential that Applicant could later ask for permits for at least one more pipeline through this new corridor if this Project is approved.